I love vanilla beans. Probably one of my favorite discoveries. 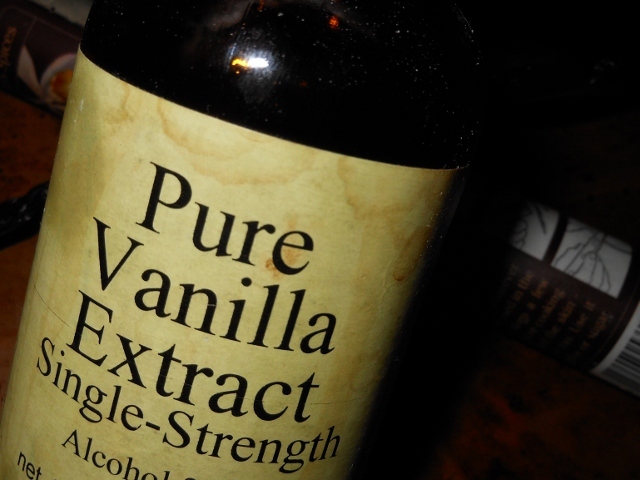 I remember trying straight vanilla extract as a kid and how wonderful it smelled yet tasted terrible. A couple of years ago I got my first vanilla beans. They aren’t cheap, but neither is good vanilla. 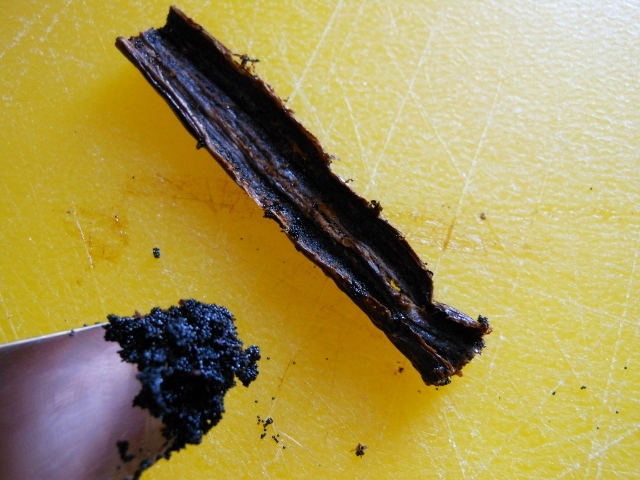 There are a few things to know and to do with vanilla beans. For starters there is no waste. If using in a recipe you will procure the seeds but the remaining pod is full of flavor and likely still brimming with seeds so there is plenty to do with it. 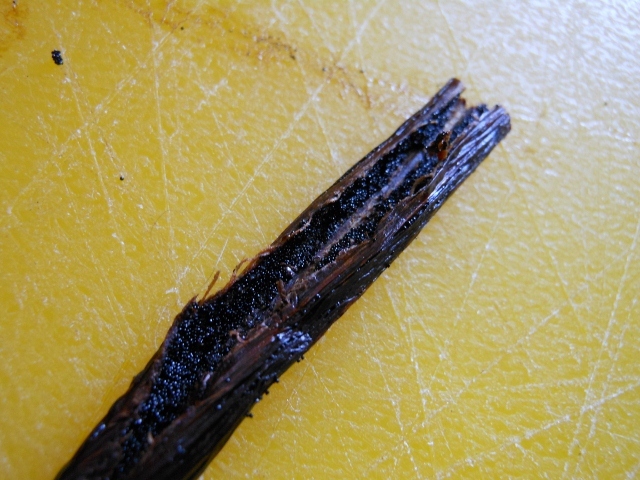 As a general rule an inch of vanilla bean is equal to a teaspoon of vanilla. Of course as with any spice it will vary by quality. In bean form though you get a very good product to work with so use accordingly. The easiest way to harvest the seeds is to cut to desired length and make a slit down the middle. Using a dull knife or spoon scrape the seeds from the bean and add to recipe. Now what to do with the rest of the bean. I personally keep a jar of vodka with all of the bean remnants; I use that anytime I just need some simple vanilla extract for a recipe. You can though add the bean to some sugar for some vanilla infused sugar or simply toss into a potpourri mix. What ever you do; don’t thow it out! There is so much good flavor and smell left that you really should enjoy every last bit.